Healthcare is a trillion-dollar industry with more than 780,000 companies and 16.8 million employees in the US alone. Generating sales leads in this huge industry with various subgroups such as Pharmaceuticals, Hospital & Healthcare and Medical Devices is not an easy task. You have to spend a lot of time looking for prospects from various sources and at the same time, you got to be very specific in your search to get the desired results. When you hear the word ‘search,’ you would instantly think of Google. Yes, that’s true. But in addition to Google, you can also leverage other popular search engines such as bing.com and aol.com to search for prospects. In this blog post, you will learn how you can generate sales leads by leveraging the top search engines and professional networking sites for free. 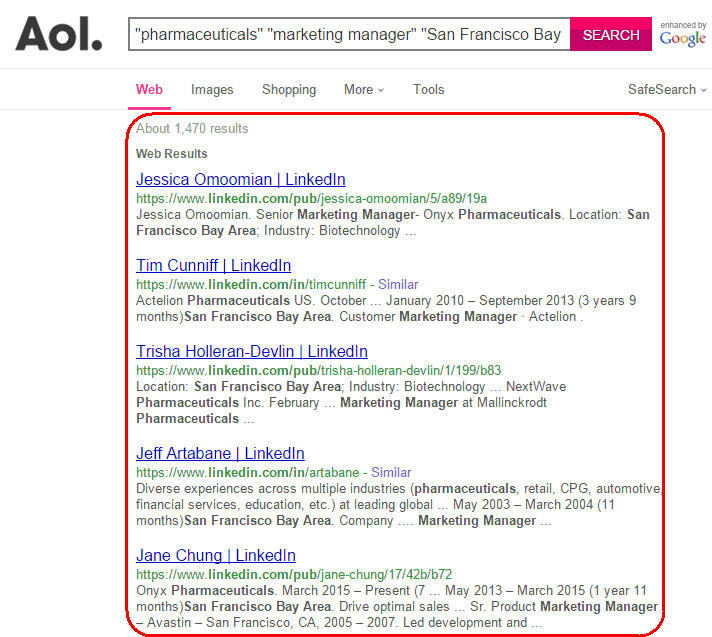 Let us see how we can search for product manager profiles from pharmaceuticals industry in San Francisco Bay Area using AOL. Job titles can be tricky. You may not have the same job titles across all companies. So you got to identify similar job titles to search prospects. Some companies might have either one of the above or both. To ensure that you don’t miss out your targeted prospects, you can try searching both. Similarly, you can replace the industry and location to get the results based on your requirements. If you are looking for doctors in hospitals, you cannot expect the titles to be the same across all hospitals as well. Some hospitals might have Chief of Radiology, some might have Section Chief – Radiology or Oncology or Hospital Section Chief or Hospital Section Administrators and so on. So you got to be careful in identifying and searching for profiles. Another way to generate sales leads is through LinkedIn People Search. It provides a lot of filters to narrow down your search results. We will see how we can make the most of it. All you need to do is, log into your LinkedIn account. Search for people, click All Filters and enter the search criteria as shown in the image given below. The results are displayed with a click of a button. 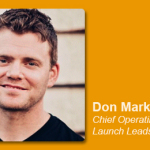 LinkedIn Groups is one huge source where you can find targeted prospects. But some of the challenges are, you need to join the respective groups to view its members and then look for ways to reach your prospects. Another limitation is that you cannot join more than 50 groups in LinkedIn, and most of the groups are restricted and doesn’t allow everyone to join. But the following search script will help you to search LinkedIn Groups through Google. 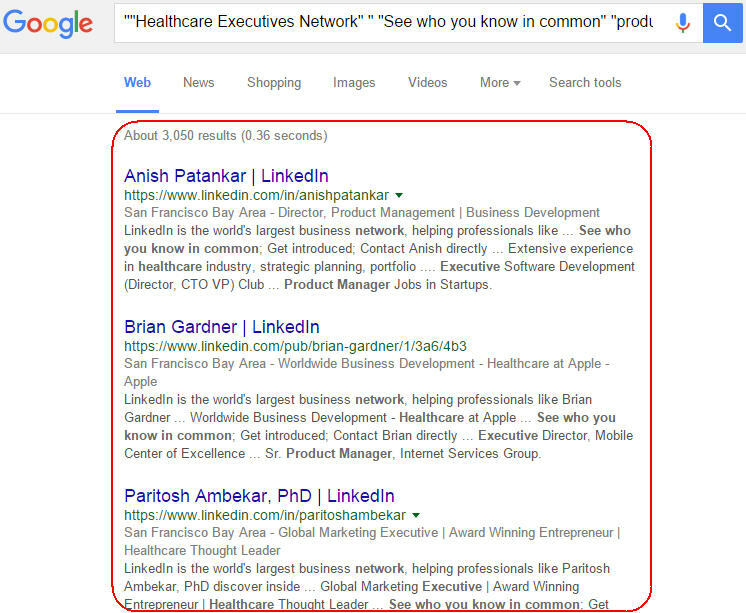 You can search for prospects from LinkedIn groups through Google even if you are not a member of that group. Twitter is also one of the sources to look for prospects. 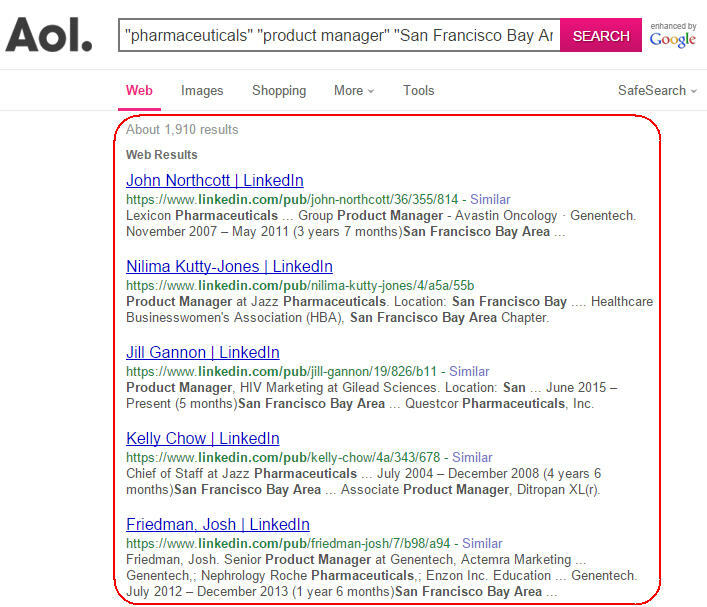 The following search script will help you to search product manager profiles from San Francisco Bay Area. 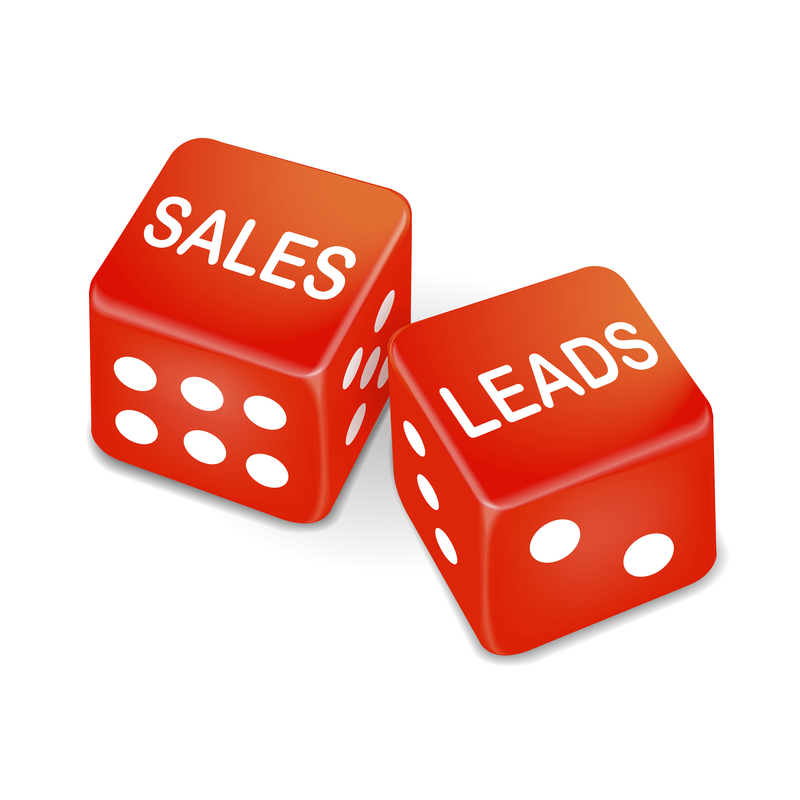 LeadGrabber Pro is a B2B lead generation software that enables you to generate sales leads from healthcare industry (or any other industry). 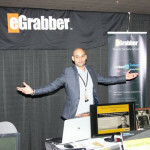 You don’t have to spend countless hours on the Internet to manually search for prospects or generate sales leads. 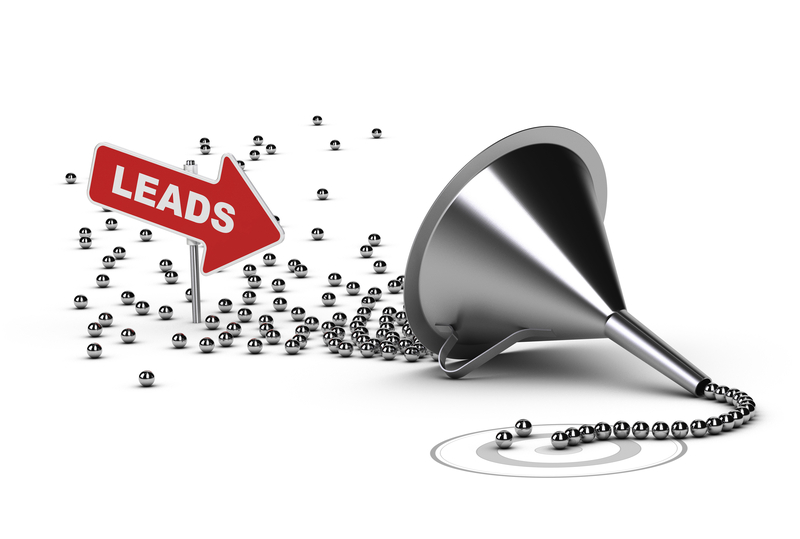 The B2B lead generation tool enables you to find targeted sales leads, append verified business email addresses and phone numbers, and build your own targeted prospect list that no one has.